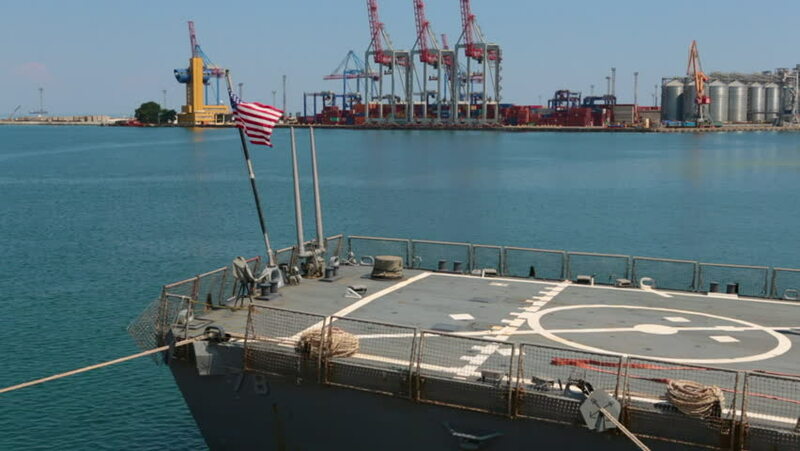 Odessa, Ukraine July 13, 2018: USA Flag on military ship of NATO forces in the port during the naval exercises in Black Sea. Crushing of naval forces of Nato of Mediterranean Sea. hd00:20BUDAPEST, HUNGARY - MARCH 15, 2016: Heavy traffic in the evening on the bridge over the Danube on March 15, 2016 in Budapest, Hungary. hd00:32LIVERPOOL, MERSEYSIDE/ENGLAND - MARCH 08, 2014: Oil chemical tanker ship, Bro Anna sails down the River Mersey. hd00:10CAMDEN - SEP 03, 2014: Delaware river with museum battleship USS New Jersey (BB-62) on moorage at autumn day. Aerial view. Ship has displacement 58000 tons. 4k00:30CORPUS CHRISTI, TEXAS - 16 JAN 2019: Cargo tanker ship entering Corpus Christi Harbor tug. Tourism travel destination. Waterfront marina, port harbor and scenic byway. Year round vacation city.